This Kent & Curwen t-shirt boasts embroidered patches over the chest and allows the wearer to embody the spirit of the British heritage. 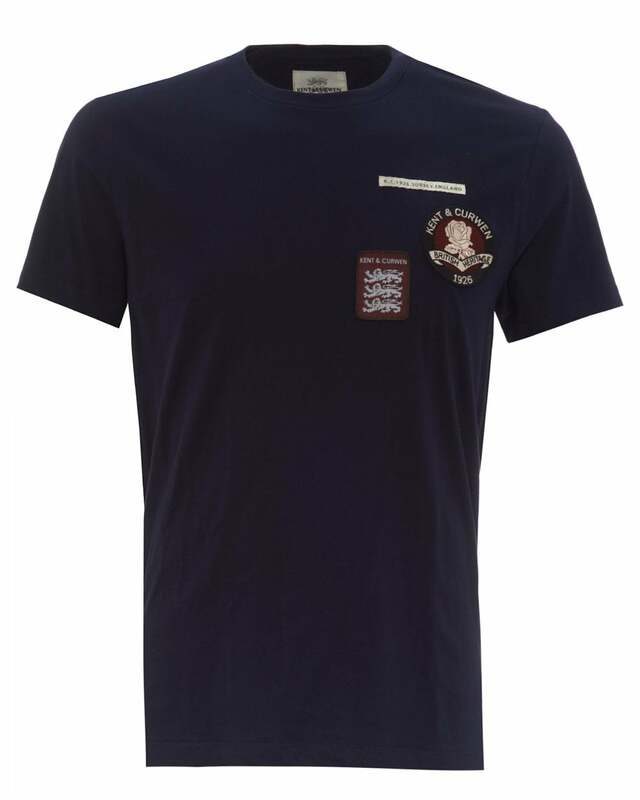 Built from cotton in a deep navy colour, this tee also features a round neck and a straight hem. A safe choice for your casual outfits.